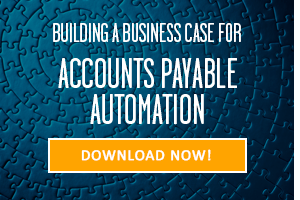 Accounts payable (AP) and finance teams are acutely aware of the benefits of that AP automation has to offer. However, before an automated AP project can hit the ground running, there is one critical hurdle that must be cleared: getting buy-in from upper management and other key stakeholders. Having worked with over 5,000 AP departments, capturing and processing millions of vendor invoices each month, the Esker team has gained valuable insights into what’s required for a successful digital transformation of AP. Over the past 30+ years, we have seen many well-intentioned AP automation projects stall or fail to start due the lack of a sound business case with clear and definable outcomes. Over the next few weeks, we will share some of those lessons learned in our series “Building the Business Case for Digital Transformation of AP”. These steps will include reusable tools, benchmarking data, and content that will help you build your own customized and compelling case for an AP digital transformation project. Today’s fast-paced and ever-evolving business landscape demands that senior leadership focus on streamlining business functions as much as possible. This places greater emphasis on things like cash forecasting and spend analytics, lean growth management, integrating merger and acquisitions, and regulatory compliance. It can be difficult to stick to a strategy if you fail to first identify what the project plans to accomplish. This can include defining what aspects of AP you wish to automate and what type of solution you want to pursue. For example, do you plan to automate all components of the AP process, or would a phased approach be better suited for your organization? We have seen many of our customers’ leverage this approach as it can provide value relatively quickly and serve as the foundation for the next phase, including funding and end-user support. 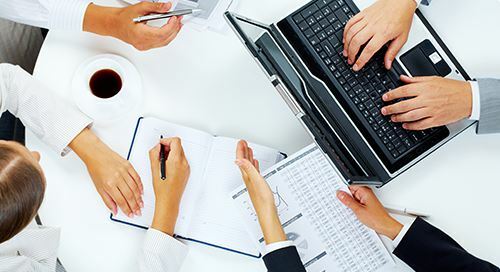 For example, many AP teams will start out by digitizing paper based or non-EDI based invoices since the benefits of automating those manual processes is clear. Keep an eye out for Part 2 of this series, where we’ll cover how to identify your Key Performance Indicators, calculate ROI and align with organizational vision/strategy. In the meantime, check out this eBook to further expand on the ideas covered in this post.